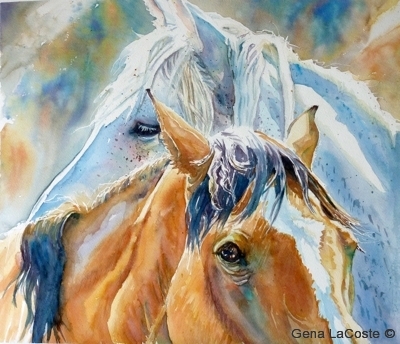 Gena LaCoste is a watercolour and oil painter, living in Medicine Hat Alberta, and she creates paintings filled with life and light, celebrating the living lifestyle of the Canadian west. 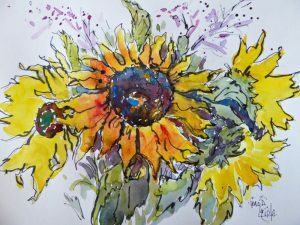 Welcome to her web-site, where she will show you how she sees and interprets the new and vibrant, beautiful and diverse life that has evolved here on the Canadian prairies over the past 2 centuries. 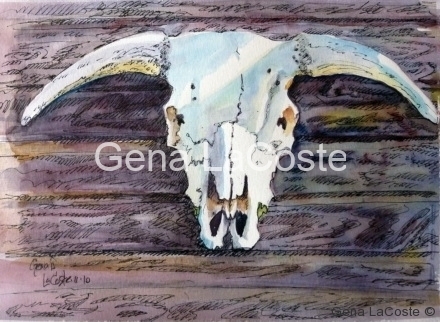 Gena LaCoste was born and raised here in Southern Alberta, into a ranching family. 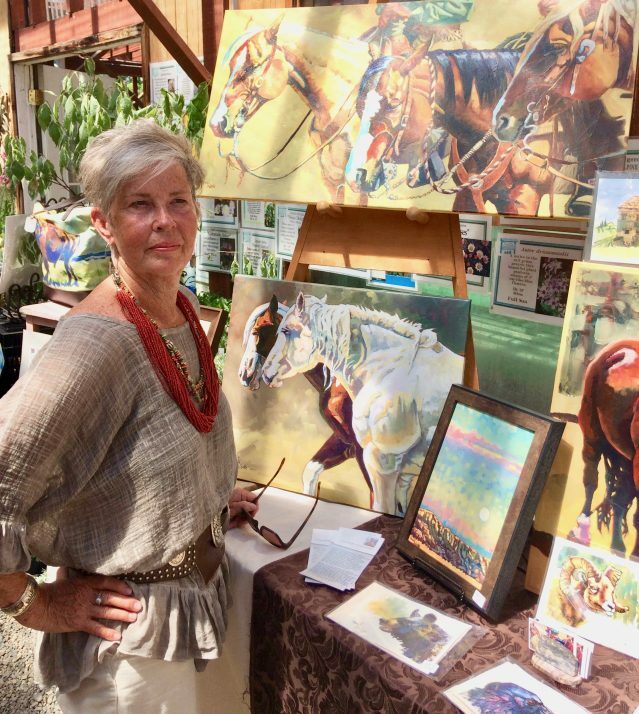 The people, the wild places, the animals (especially horses), and the rural lifestyle have profoundly influenced who she is and the filter through which she interprets life. Gena started trying to draw and paint all these things while still a pre-schooler, and it has continued to be a compulsion throughout her life. ” I’m so grateful to all the fabulous artists who have mentored and instructed me and all the friends and family who have supported me and my work in every meaningful way possible.” In addition to learning from other artists, much of what she knows, Gena has learned by teaching. She teaches privately and in workshop sessions, and says many of her best ideas come through her interactions with her students. Another feature of Gena’s development as an artist was a commitment to complete a painting every day…for a year. 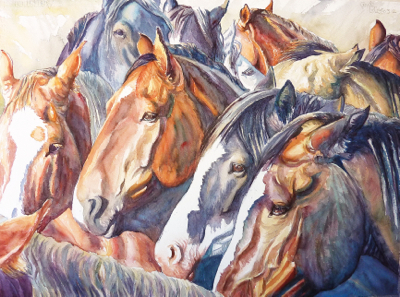 This practice became something of an addiction, and she continued the practice for 5 years, posting the day’s work to her blog (attached to this web-site) and during that 5 year span produced over 1400 small watercolours, meanwhile continuing to produce her larger scale work as well. Gena feels this practice has hugely enhanced her drawing skills and her artists’ “eye”. 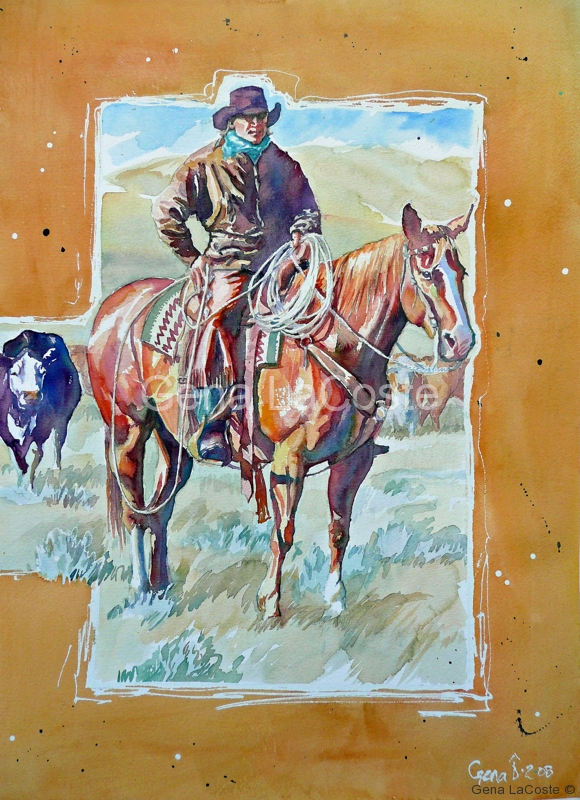 oil paintings featuring her favourite subject matter; horses, working cowboys, summer gardens, wildlife and the people of today’s living west. 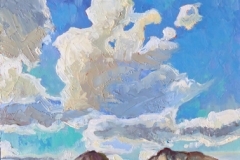 Gena’s hope is that her intimate and unique perspective of what she feels may be a fading lifestyle, will be a testament to the many values it offers. There’s a lot of pressure to urbanize and farms and ranches are squeezed from all directions, resulting in what Gena feels is a loss to us all. 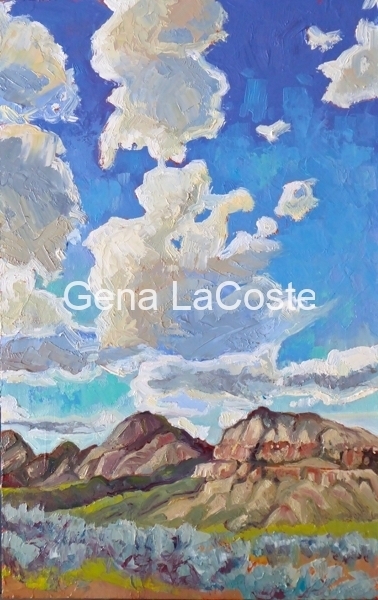 This web-site and blog gives the viewer an opportunity to view Gena’s large body of work and to share in her vision of what it looks like to live in today’s “Living West”.